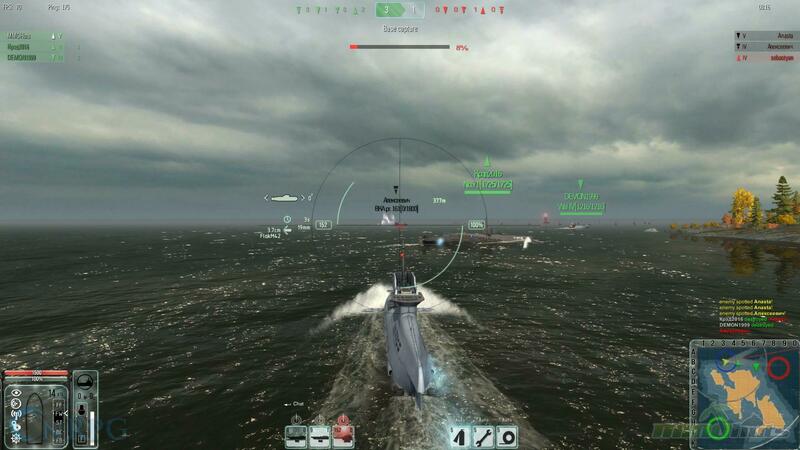 MMO MMORPG News·Editorial·GunFleet Review – World of…Fast Attack Ships and Submarines? 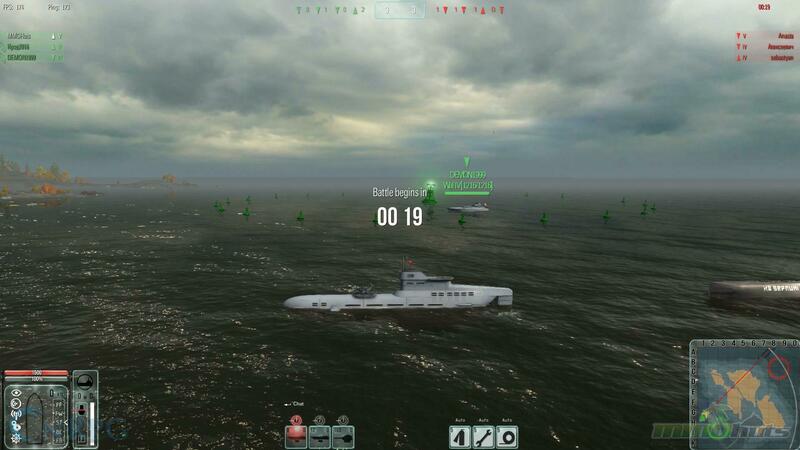 GunFleet Review – World of…Fast Attack Ships and Submarines? 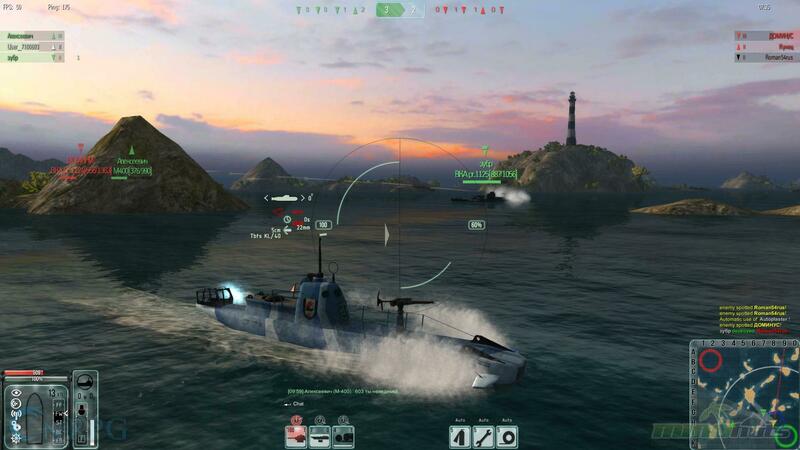 GunFleet is a recent addition to the mechanized warfare genre that World of Tanks pioneered. It focuses on the gunboats and submarines that patrolled the coasts and rivers of World War II. 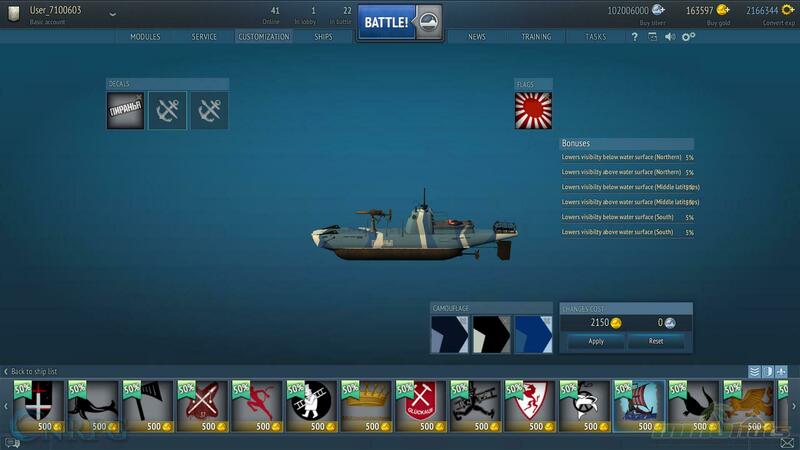 The USSR, Germany, USA, and Japan are currently represented in the game, with historic ships and submarines (or u-boats) from each. The game is currently available for free on Steam and generally followed the “World of” formula to a T, with very little variation. 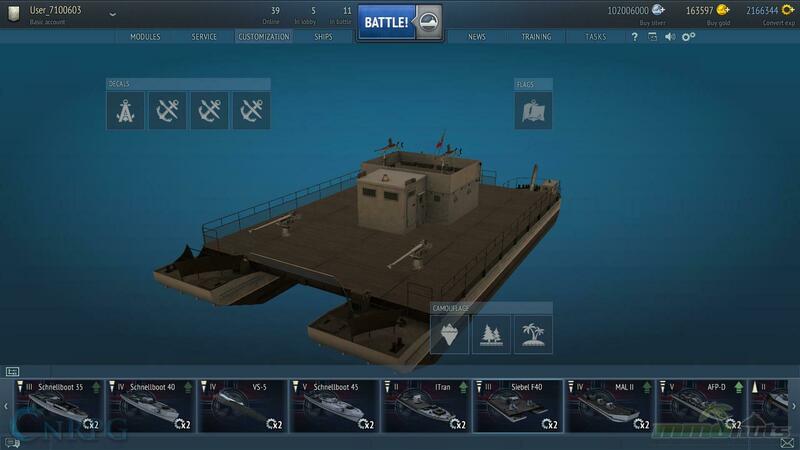 It separates itself from the others by focusing primarily on smaller ships and submarines, allowing for some very unique tactics to be employed. In this review, I will let you know how it stands up to similar games and whether or not it’s worth a play. 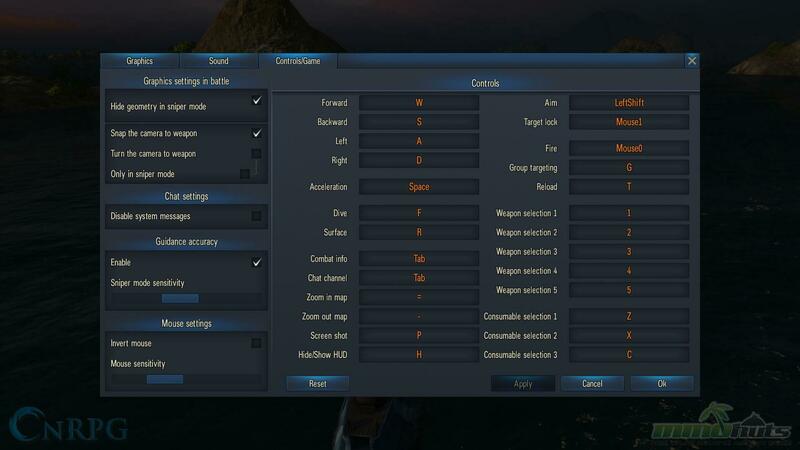 Similar to other games in the same genre, there are some minor customization options. 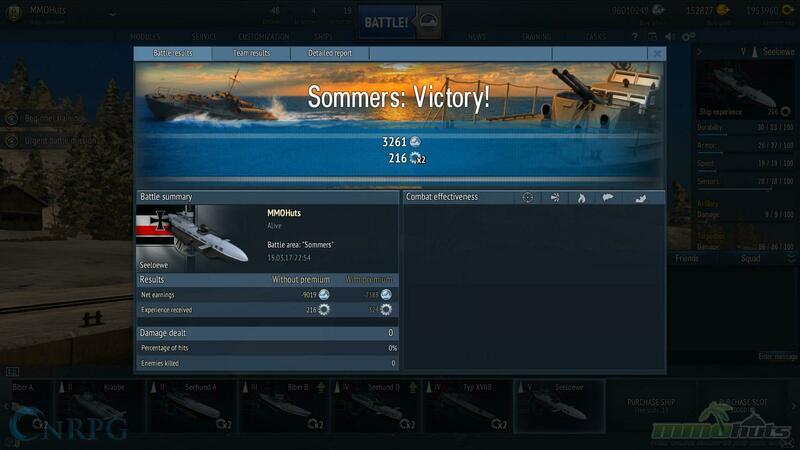 In terms of cosmetics, you can purchase decals and camouflage using the premium currency. 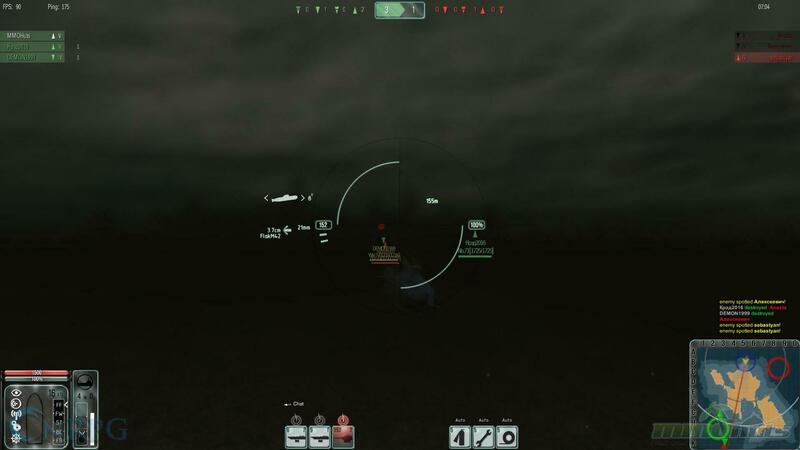 Decals offer no bonuses, but camo will lower your visibility while playing on certain maps. 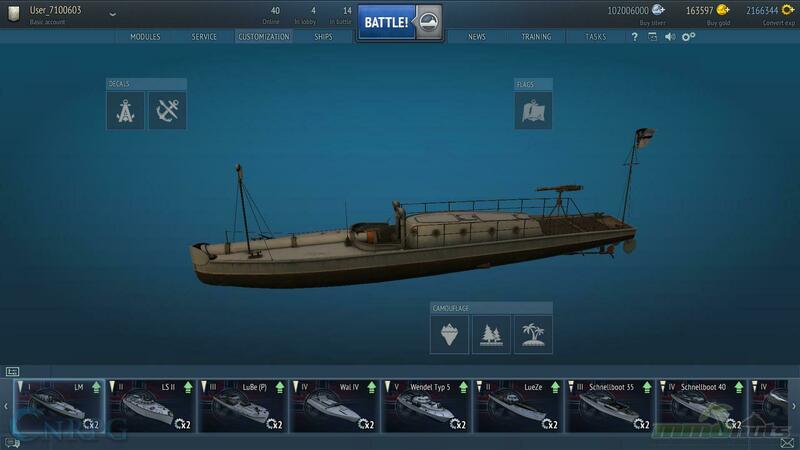 Other than that, through playing the game you can gather research points and currency to unlock and purchase new components for your boats. 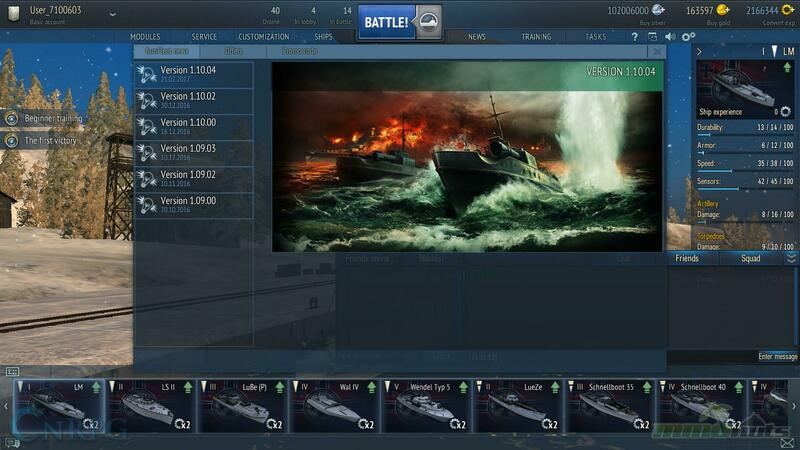 Exactly what you would expect from the game, but considering that it’s now 2017 I would have appreciated some greater customization options that change the look of your boats by more than just decals or flags. I would appreciate more options. Even the decals are a limited selection. 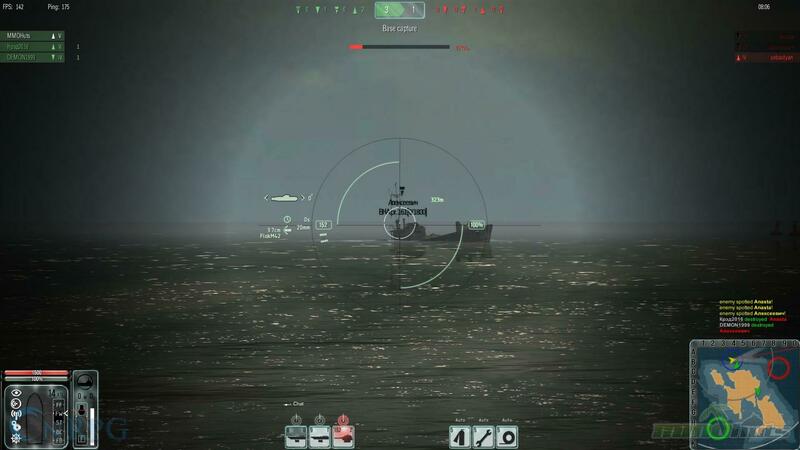 The game looks… alright. 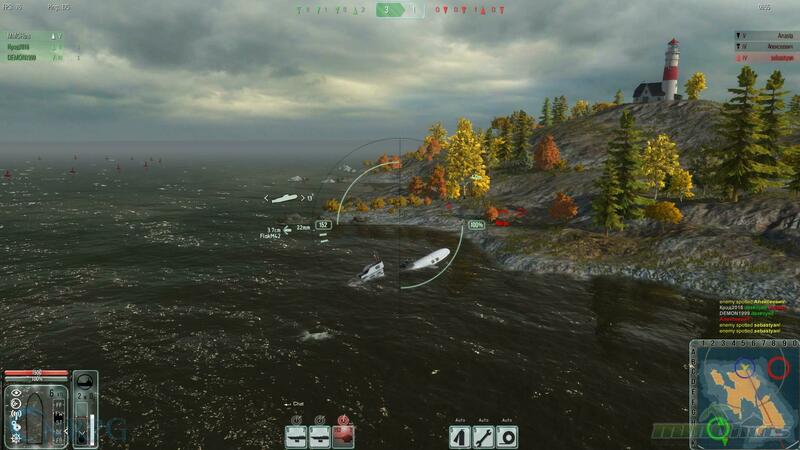 It looks like a game you would have played in 2008. There is software and techniques available now that weren’t back then, and so many games make use of them that I feel that any new game coming out should also have something comparable. The land textures aren’t important but they do contribute to the atmosphere, so I was disappointed when I saw that they were quite bad. Even at maximum settings. Water also isn’t that great, though it looks decent. It looks nice, but not quite up to what I expect. The boats themselves are mostly alright. 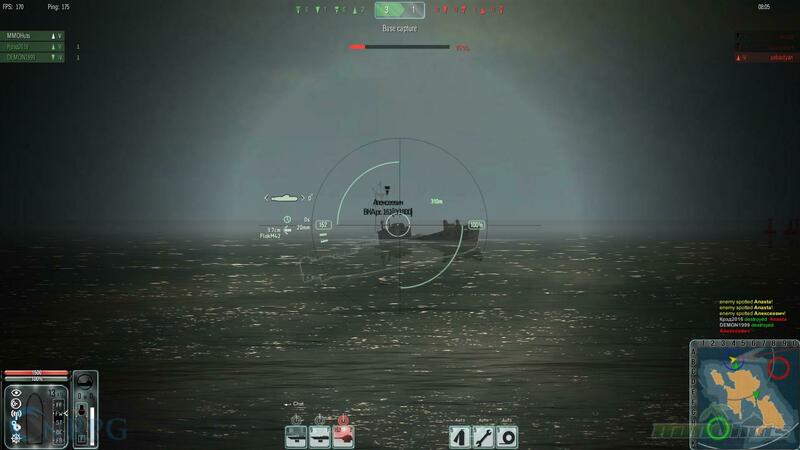 The biggest thing about the graphics in the game was that I didn’t notice them. That is, I didn’t even think about them until I came to this section of the review. So, were they alright? Yeah. But they definitely weren’t impressive. I just feel more could have been done. At first glance, this game looks awesome. The controls were alright, for the most part. I thought they would be more intuitive going in, so I didn’t even bother to look them over when I first started playing. For the most part, they were what I expected. 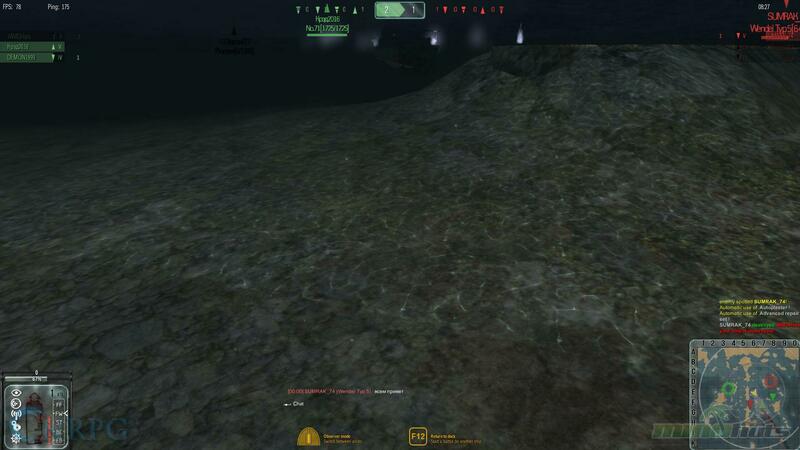 There were some things I had to look up, though, such as going underwater in a submarine. 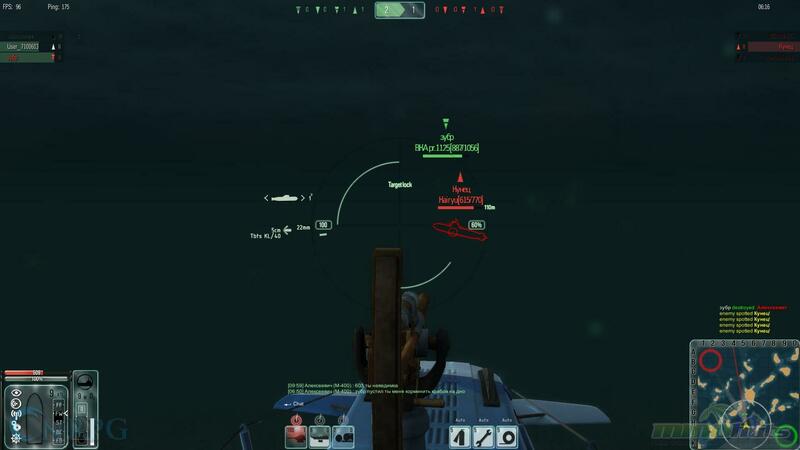 Speaking of that, I found the controls for going under and above water in a submarine to be clunky. It took me a while to get a hang of how to get them to work like I wanted. It wasn’t a big deal, but it meant that I ended up spending my first few games getting used to the controls, but other games have done better. 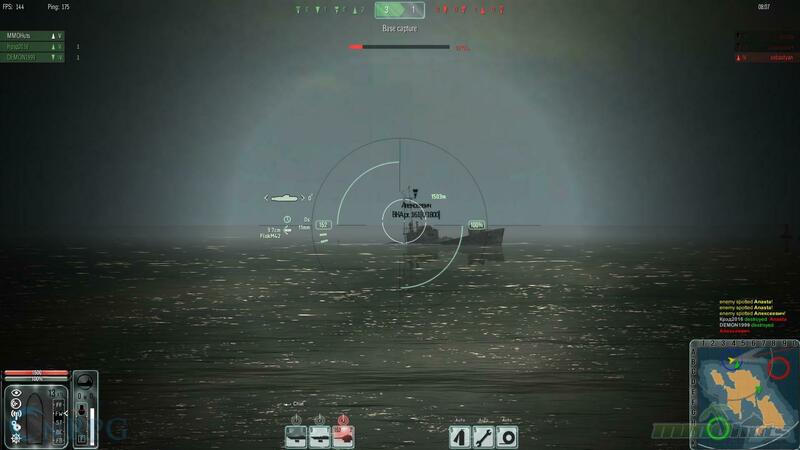 This is the biggest negative in the game right now. I’m thinking it is a combination of it being relatively new along with not being fully developed. 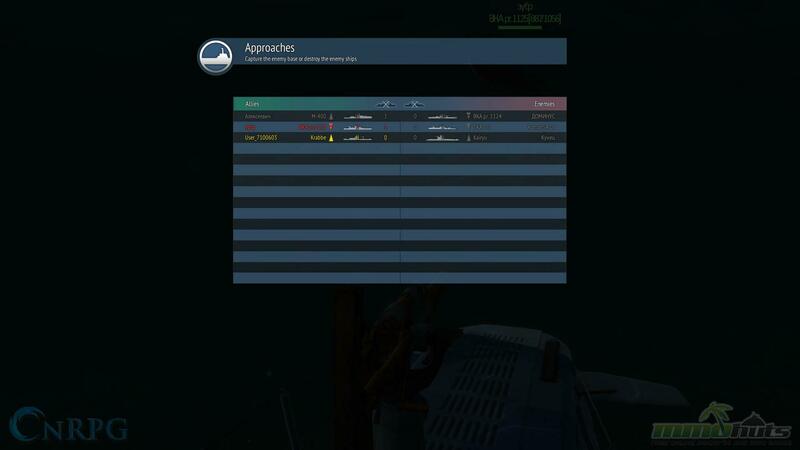 When I logged on at 11PM CST on a Wednesday night, there were less than fifty people playing and, so far as I could tell, all of them were Russian speaking. I can understand lower player numbers at 11PM on a weekday night, but less than fifty is… well, it’s not great. However, despite this, I never waited more than five minutes for a game. A match will start as soon as at least six people are able to play. I’m honestly not sure if some of them were bots, but a majority were obviously actual players. 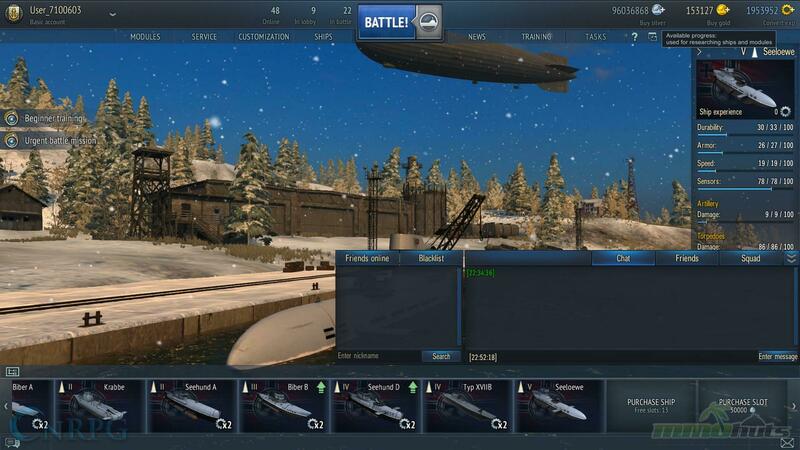 If you’ve played any of the World Of games or War Thunder, you’ll be fairly familiar with the formula for the game. You select a ship, go to battle, get money and research points based on your performance, and then you spend those to upgrade your current ship while unlocking better ones. If you are playing completely free, it’ll take you some time and effort to unlock things. Unfortunately, you can get quite the edge if you spend some cash. 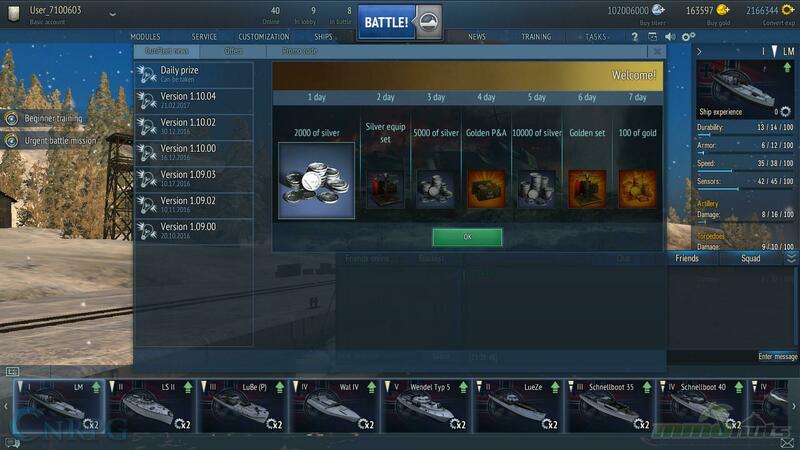 Even more unfortunate is how quickly those relatively small purchases for improvements add up as you unlock new ships. 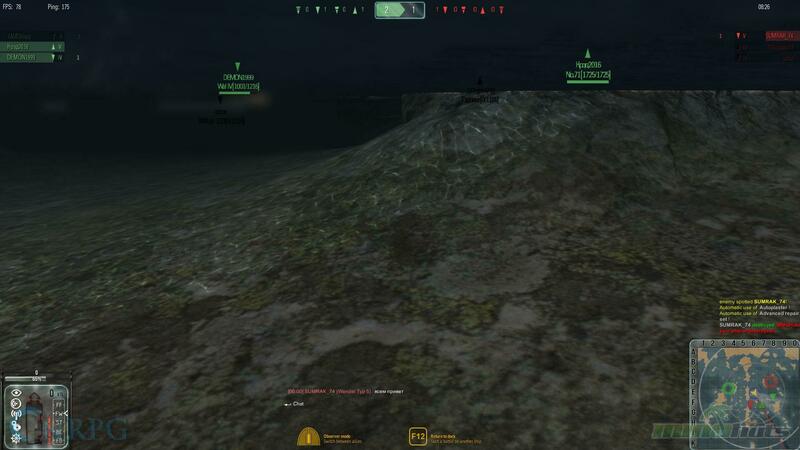 Playing as a submarine in this game is incredibly satisfying. 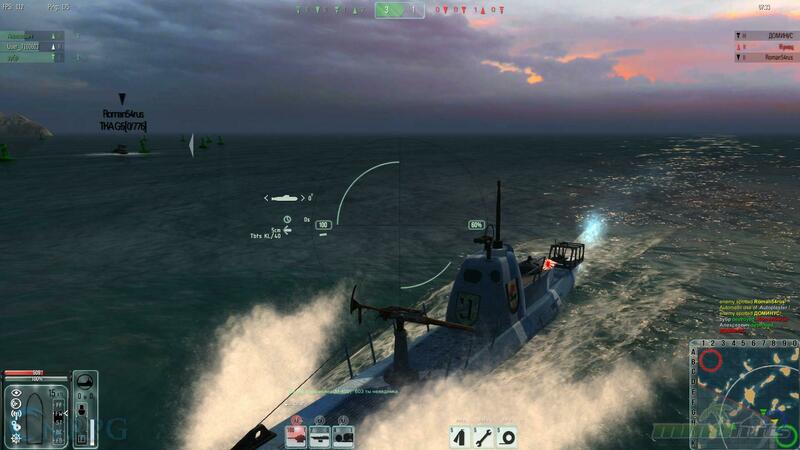 GunFleet separates itself from the other titles in the genre by focusing on the gunboats and smaller submarines of World War II. 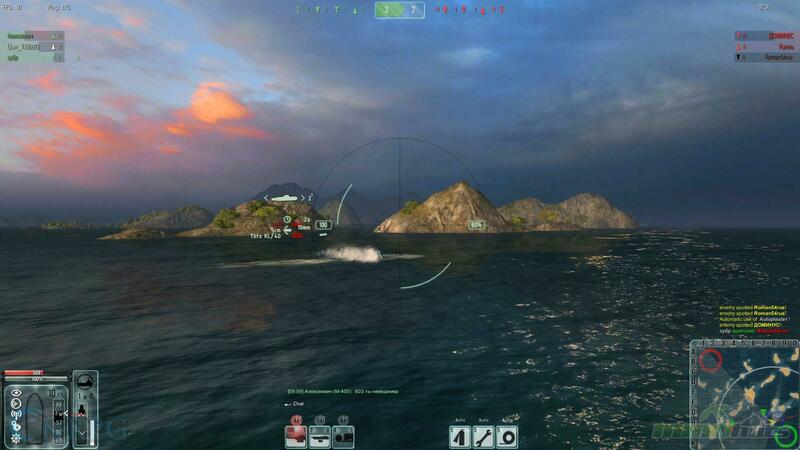 It also focuses on coastal settings, which may contribute to the smaller map sizes in general. 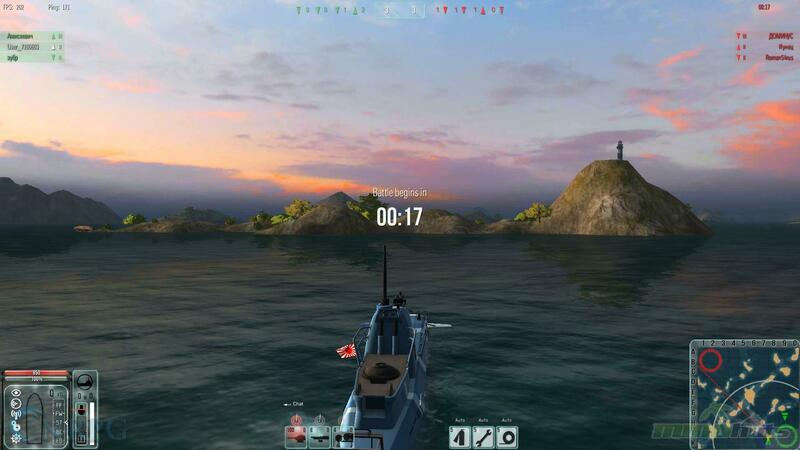 These smaller map sizes mean that it doesn’t take long for the action to get started. 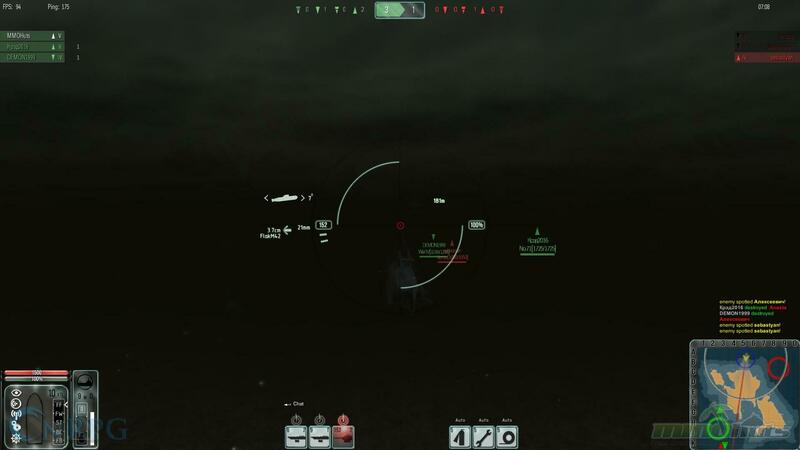 I feel this is a bit counter intuitive compared to the apparent focus on hiding and visibility that the game has. 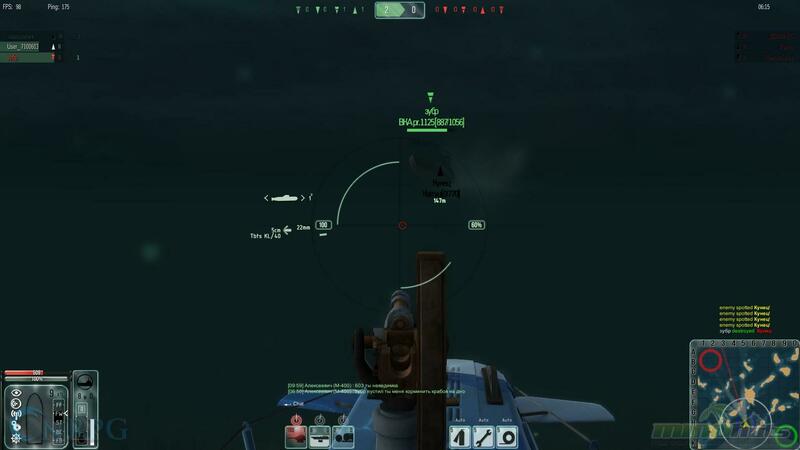 You can run into enemies within a couple of minutes of the match starting. 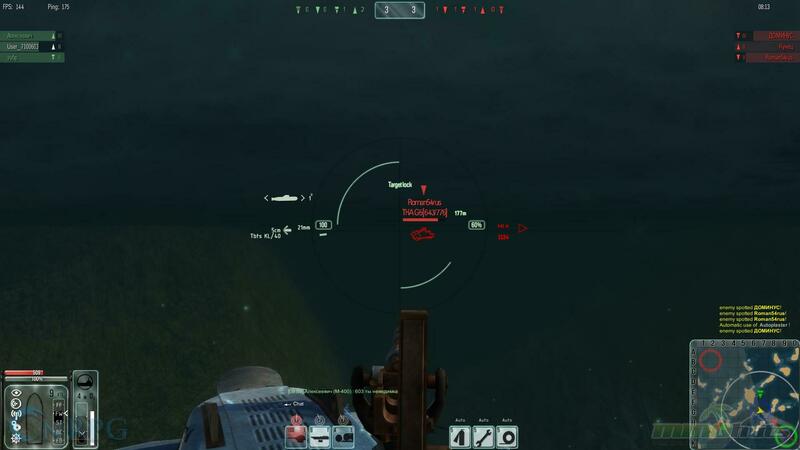 Even as a submarine while underwater and hidden, you may find yourself coming across an enemy submarine relatively quickly. 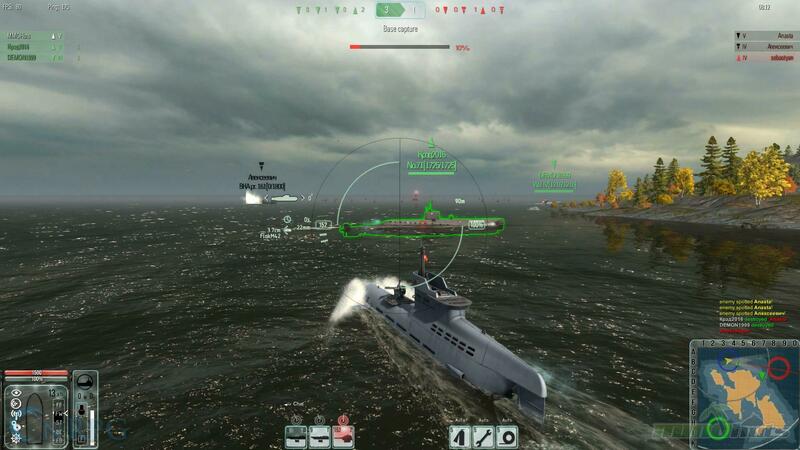 I feel that with the focus on submarines, combat should perhaps be a bit slower paced and strategic. Combat can be intense, but is often over in a few seconds. Overall though, I will admit the game is quite fun. I found myself playing it much longer than I thought I would. 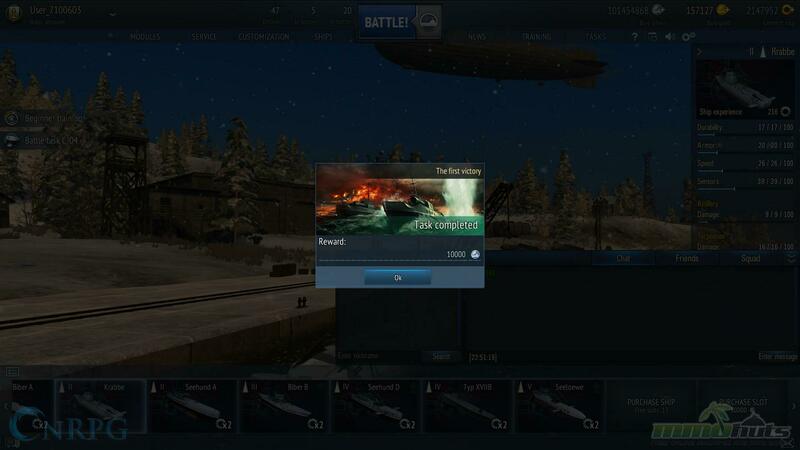 In fact, I have plans to hop into it later tonight and play with some friends. I think part of the appeal is that (currently) smaller community. 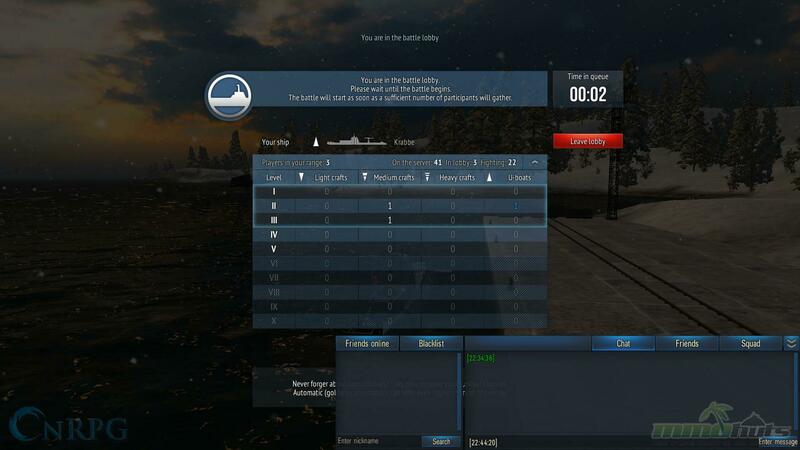 When you join games like War Thunder or World of Tanks/Ships, there are already tens of thousands of players. With a smaller community like this, you could quite easily make a name for yourself and seed yourself as one of the best. An odd benefit of playing a game that will, more than likely, grow in popularity before it becomes popular. I feel the game would benefit from much larger maps. 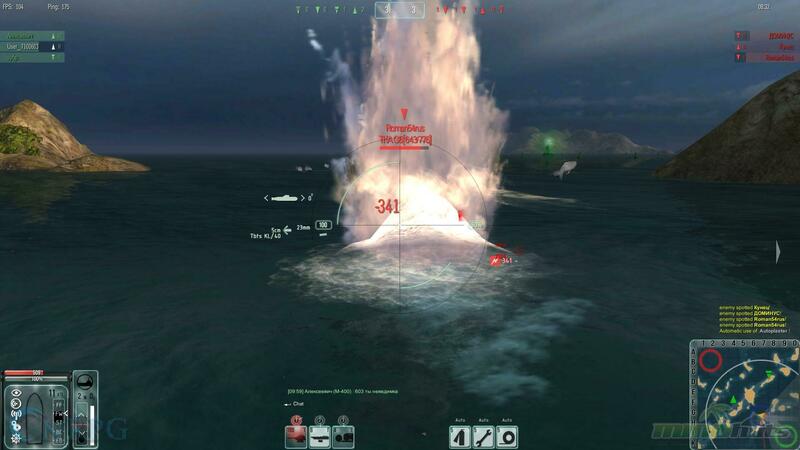 Torpedoes and bombs (or ‘sea mines’) are quite important in the game. 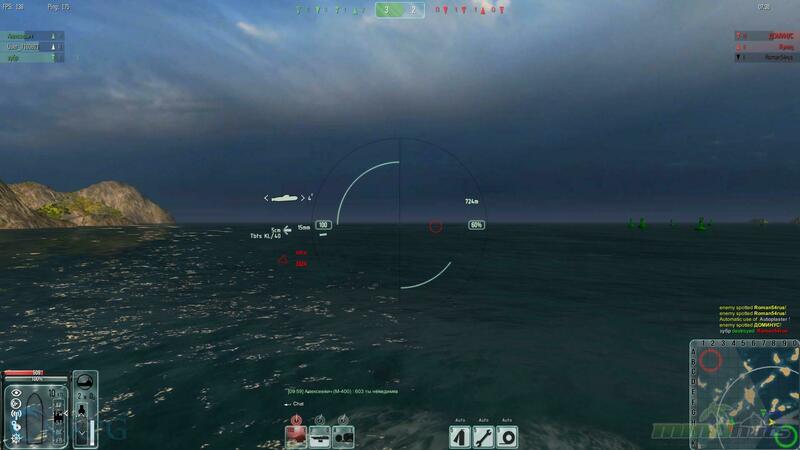 Most of the combat, so far as I’ve experienced, centers around them. 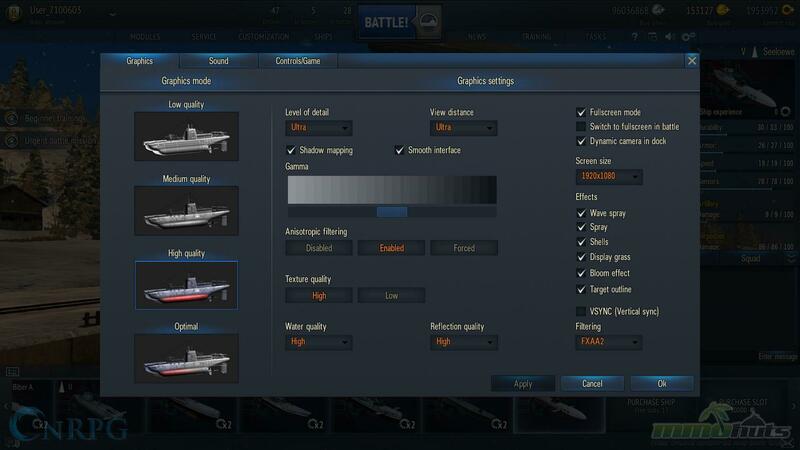 This is despite a lot of vessels having cannons or even rockets. 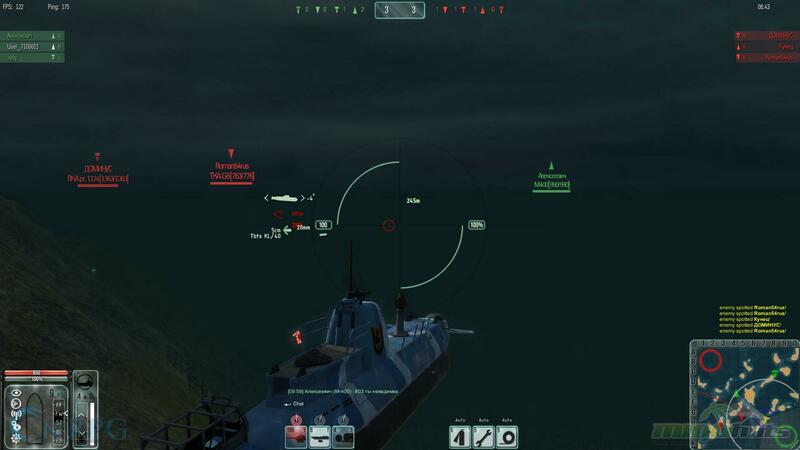 Most battles seem to be won with a cleverly placed bomb or a good barrage of torpedoes, with the cannons and other weaponry seeming to serve as tools to get the enemy into position to get hit by them. 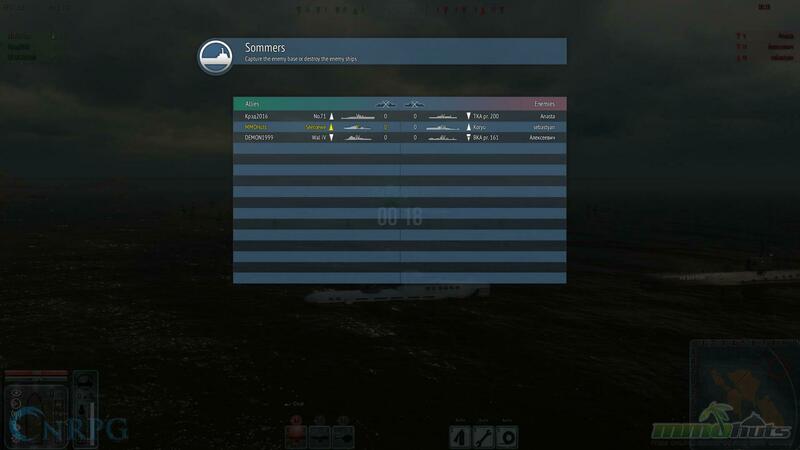 I feel this would be even more fun with larger maps, but with larger maps the matches would be even slower as it’s rare for me to see more than six people in a match. Kind of a catch-22. Besides the smaller population, the biggest issue is the reliance of premium currency. You can get much better consumables by paying real world cash. 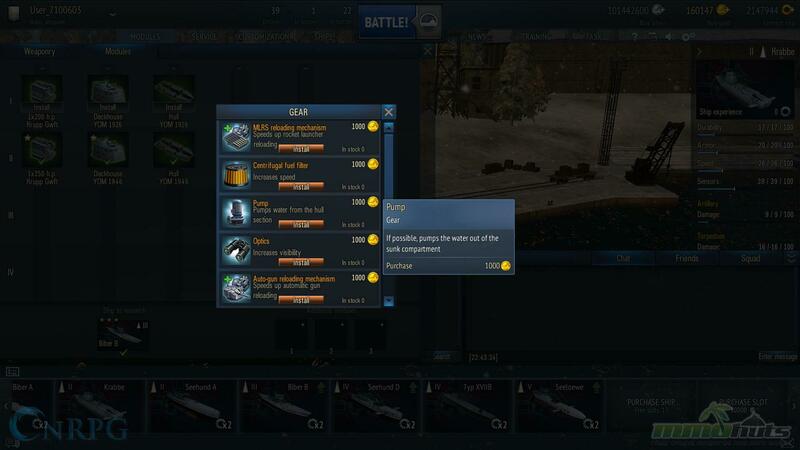 You can also buy “additional modules” that offer permanent boosts to various parts of your ship. Such as a 10% increase in speed or decrease in reload times. I always dislike it when a game gives paying players such a large advantage over non-paying. I can understand allowing someone who pays to have much better customization options or quicker advancement, but where’s the fun in being able to dominate a portion of the game’s population simply because you could drop a bit of money in the game. And judging by the game’s Steam reviews, I’m not the only one that feels this way. 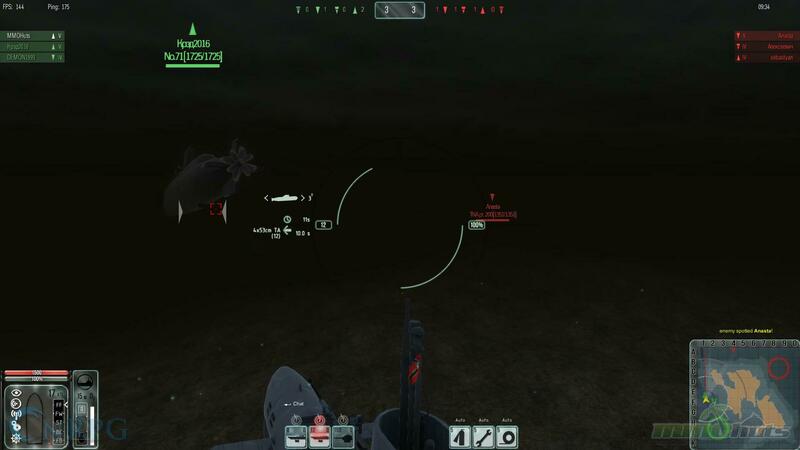 GunFleet is an alright game that is a bit behind the times, but still manages to be quite fun. The biggest negatives are the population and the advantages that can be gained by paying money. The graphics were alright, but nothing to praise. You can definitely tell that this was a game made to make money, rather than a labor of love. 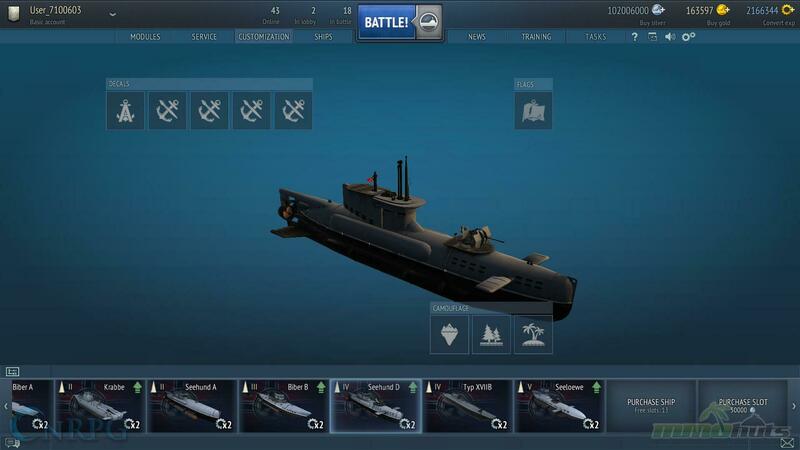 The game is both free and on Steam, so there really is no reason not to give the game a try if you’re looking for submarine combat. I say give it a try and see if you like it. Features: 3/5 – What is expected. 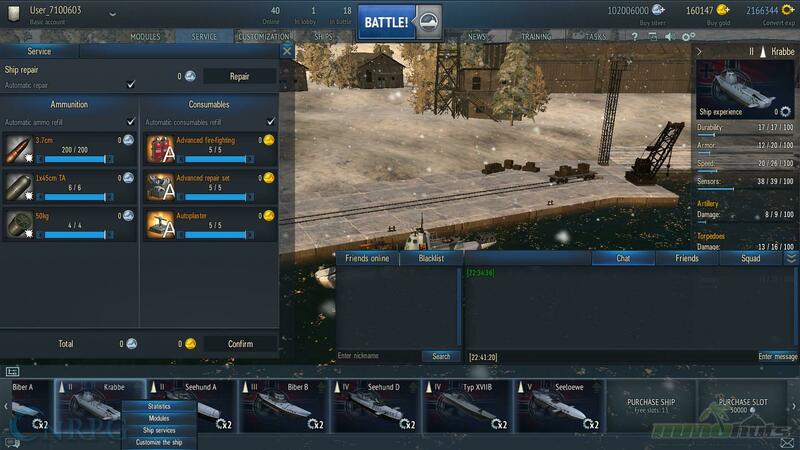 Customization: 3/5 – Same as the features, I got what I expected. Graphics: 3/5 – They look alright, but are a bit behind in the times. Controls: 3/5 – Some minor frustration, but nothing big. Community: 2/5 – Small, and most do not speak English, making it difficult to communicate. 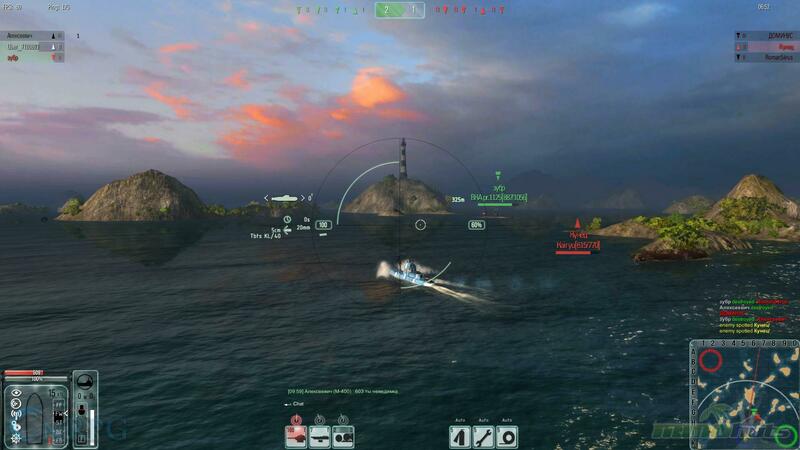 Overall: 3/5 – A solid game, but nothing new and not much interesting.